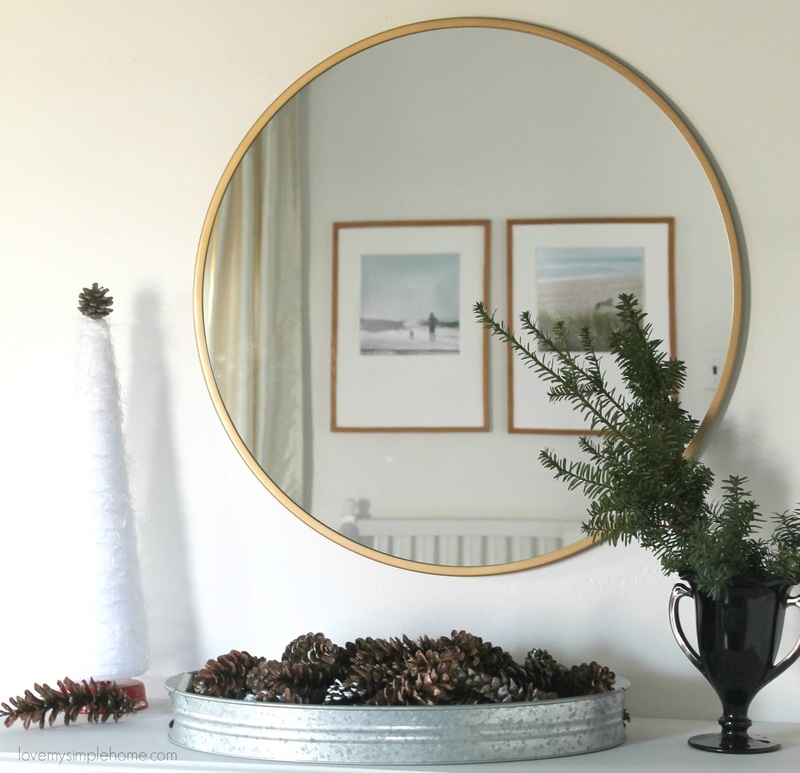 Hi, friends this year I've gone for quite minimalist Christmas decorations using greenery, pine cones, baskets, and handmade treasures. 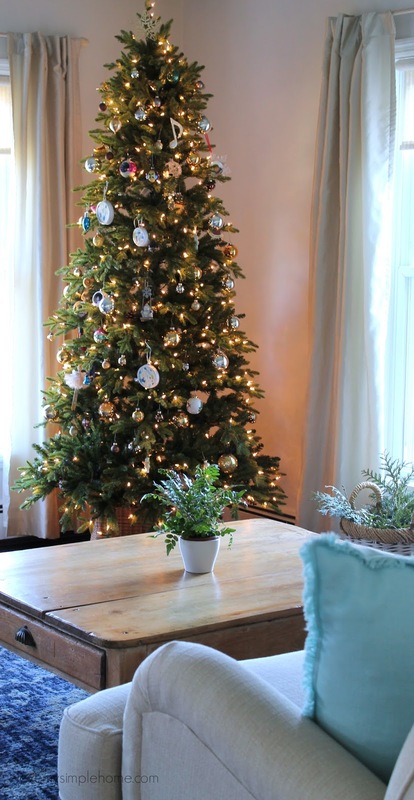 We have a traditional Christmas tree but I kept everything else pared-back and fuss-free. This year I wrapped presents in the simplest way by using white boxes, craft paper, and greenery. 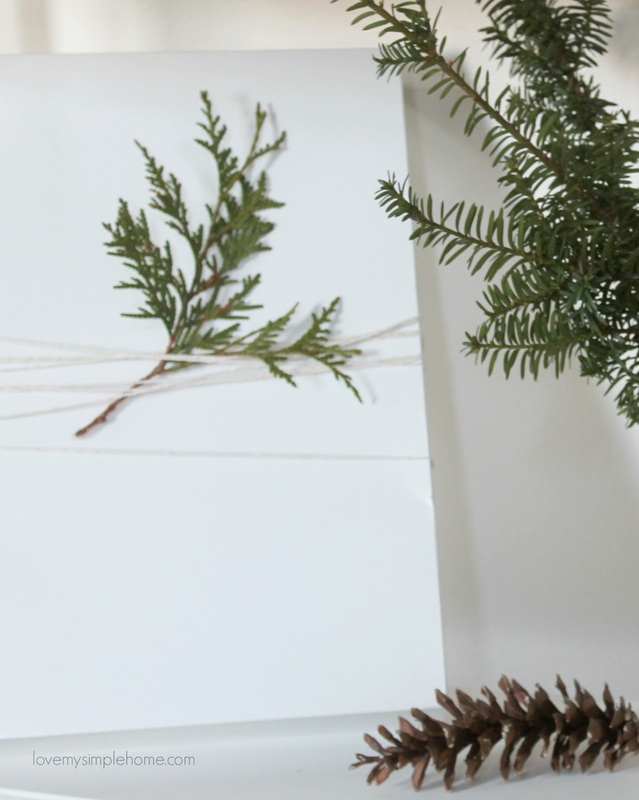 I started by wrapping white cotton twine in a zig-zag pattern around the box, then I tucked a clipping of greenery between the twine. Simple and pretty. I went with a limited color scheme of green, black and white and styled the console table in the entryway two different ways. 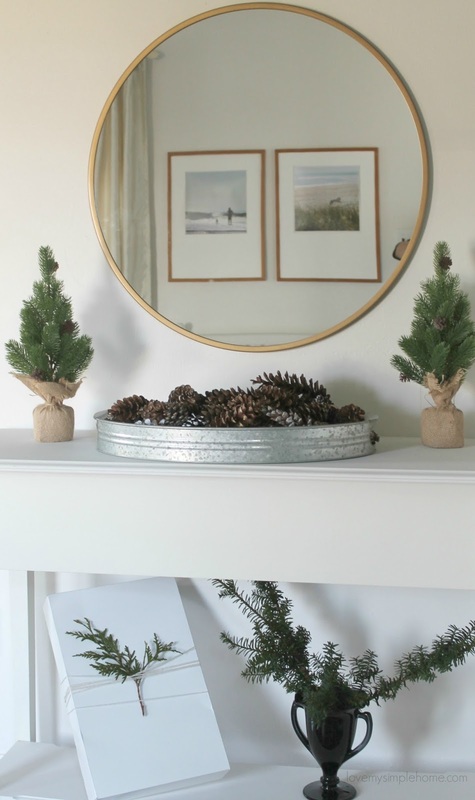 In this picture, a metal tray filled with pine cones sits in the middle of the table and a vintage Christmas tree and a black vase filled with greenery flank the ends. In this photograph, I replaced the Christmas tree and vase with two mini faux spruce trees that I can leave up after Christmas and throughout the winter. 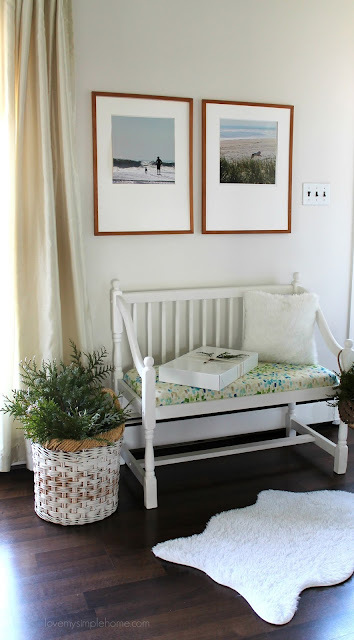 I filled a large basket with greenery and placed it on the floor next to the entry bench. 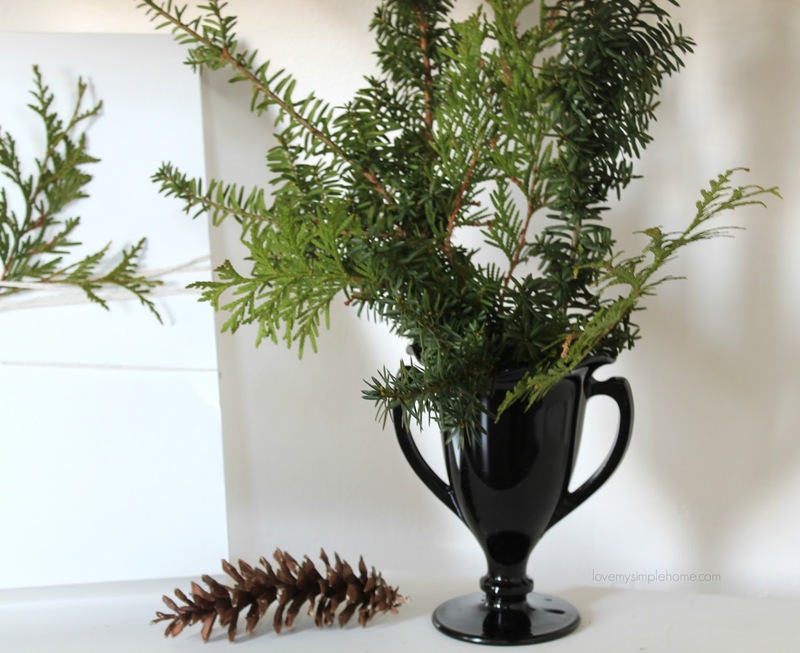 This is an incredibly easy way to decorate for Christmas and winter. I can replace any leaves that shrivel up as they dry out. 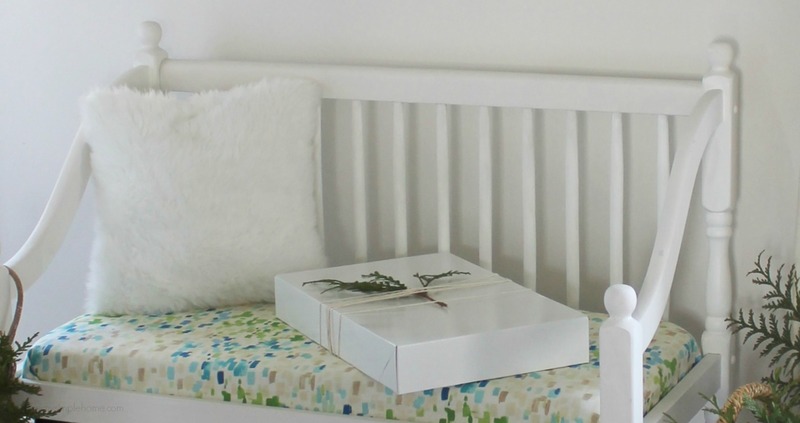 In keeping with the understated aesthetic, I used one fluffy white pillow on the bench. Our Christmas tree is simply decorated with vintage and handmade Christmas ornaments. If you haven't finished wrapping presents and decorating your home I hope you use some of my simple decorating ideas. Julie, that looks very nice. Only a little, not too much.